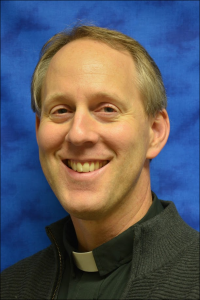 Pastor Michael Comer is thankful to serve the people of God at Lutheran Chapel Church! Pastor Comer has served previously at Trinity Lutheran Church, Elloree, South Carolina and Ebenezer Lutheran Church, China Grove, North Carolina. He is a graduate of Lutheran Theological Southern Seminary in Columbia, South Carolina and of Newberry College in Newberry, South Carolina. Pastor Comer has a love for the Holy Scriptures and routinely challenges those with whom he serves: What is the Word of God saying to you? Hearing the Word, how then shall you live? Pastor Comer is married to Ginny, who serves as an English teacher at Forestview High School and Gaston College. Together they share the adventures of life with four children, a loveable dog, and a particularly scrappy cat.